I like the Honda Civic 5dr hatchback. It’s quite different and smart. But its design is not, I imagine, to everyone’s taste. Up to now, some potential buyers had little choice: buy one or go to another brand. Now they don’t need to, not after the recent arrival of the Civic 4dr saloon. They call it a sedan – that’s too American for me, so I’ll call it a saloon, if you don’t mind. And anyway, it is more of a fastback than a saloon to look at, I feel. It is certainly quite a different take on the Civic, with its larger frame making it look a much bigger proposition. It probably won’t set the sales world alight. They expect 400 buyers in a full year, which isn’t bad, but it’s a noteworthy addition to your options. It’s bigger, roomier. The 519-litre boot (or should I say ‘trunk’?) is up 52 litres). 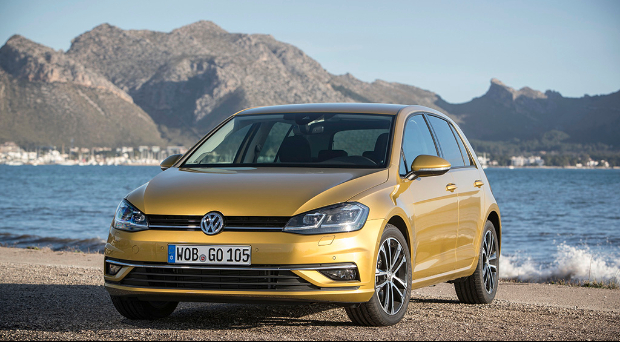 And it is that bit costlier than the hatch: a straightforward €1,000 more, model for model. But you do get a substantial looking car with a decent level of rear-seat and luggage room. I agree with the distributors when they say it will hold a certain attraction for owners of the now discontinued Accord. It is that copious – fewer than 100mm shorter. An important part of the Civic package is the fact that its extensive Sensing suite of safety elements is standard across the range. That helps significantly to justify 4dr prices that start at €24,750 for the entry-level 1-litre (126PS) turbo petrol 6spd Smart (special order). The CVT (continuously variable transmission) version costs from €26,350. Lot of interest in autos this year, I notice. There is a choice of 6spd manual and CVT (it has seven simulated gears) with the 1-litre petrol, but road tax is the same for both (€190). The 1.6-litre diesel (120bhp) – the one I drove recently – starts at €26,550 for the 6spd manual and from €28,550 for the 9spd auto (smart trim, special order). Road tax for the manual is €180 and €190 for the auto. Again, I can see the latter being in demand if the level of queries about automatics is anything to go by. The Sensing spread of equipment stretches from lane departure warning to adaptive cruise control to road departure mitigation, and lots more in between. There are three trim levels: Smart (special order), Smart Plus and Premium. Smart Plus, the likely big seller, has climate control, auto wipers, rear-parking camera, parking sensors, Garmin nav (7ins touchscreen, DAB, Apple CarPlay/Android Auto), front fogs, 17ins alloys, 8 speakers, electric driver’s seats etc. 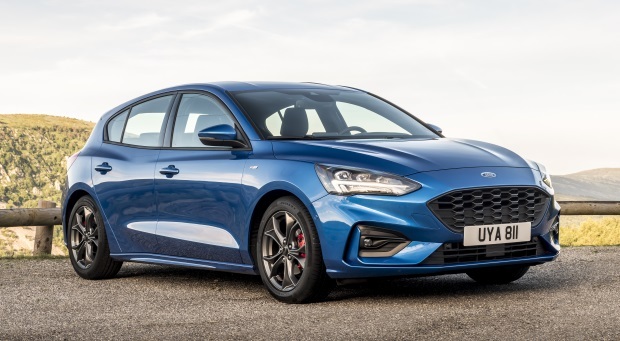 Obviously, the saloon is built on the same platform as the hatch, but it is different in design and construction from the middle pillar back – with a triangular corner window giving it the Fastback look I mentioned. So it is not just a hatch with a boot. It was typically Honda to drive: unfussy in handling and well balanced. 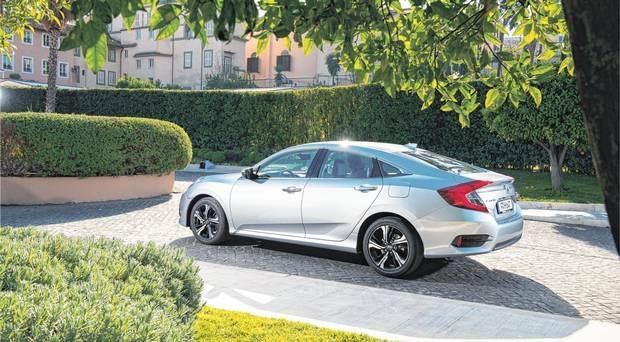 They didn’t have the petrol at the Irish unveiling, so we drove the 1.6-litre diesel manual to Gorey and back, breaking for a lovely lunch at Marfield House hotel, where we met superstar Katie Taylor, who is now a Honda brand ambassador. This diesel is rightly admired; how quiet it was on our drives. It was ideal for the open road with loads of torque (pulling power). And it was exceptionally quiet. One little thing I noticed, though, was how light and tinny the boot-lid felt (that’s not meant to be a compliment). 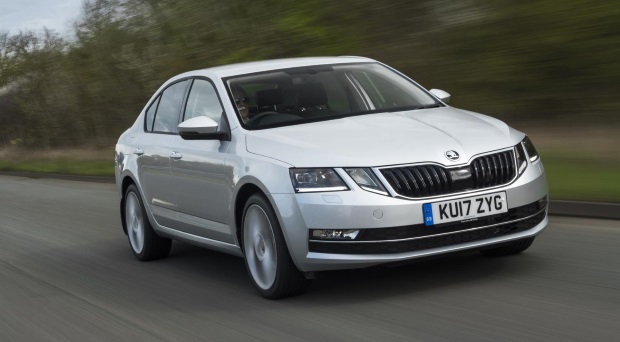 Now the experts would tell you it is not the greatest time to be bringing in a family saloon because buyers are swarming all over small/compact SUVs and crossovers. But Honda here are convinced there is demand for the 4dr in right-hand-drive. We’ll have to see if they were right. I think they are. I look forward to a longer test in it quite soon. Meantime, the marque’s popular CR-V soft-roader crossover is due here next month. As you are probably aware, there will be no diesel, so you can expect the 1.5-litre turbo petrol first and the hybrid version in February. The petrol will be the only one with the option of seven seats (something else more people seem to be asking about by the week). Just so you know, the hybrid will not have the third-row option as the space for it is required for the hybrid’s battery pack. 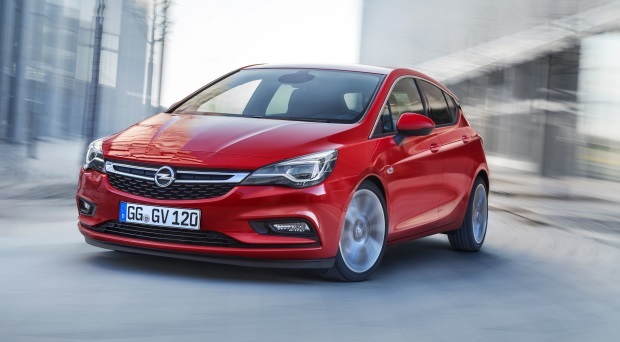 An all-new Astra, with new tech and kit to really shake up the ultra competitive hatchback market.